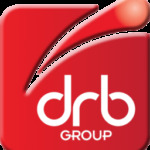 DRB Group is a trusted partner to the food and beverage industry. Do you need to modifying existing equipment to increase packing speeds? For more than 40 years, food and beverage manufactures have trusted DRB to support their maintenance, project, and operational teams to keep their critical plant running efficiently. Recently, DRB supported a client to design critical packaging equipment that increased capacity, improved dosing accuracy, and reduced their overall manufacturing costs​. We are cereal roll specialists. We manufacture new rolls with varying dimensions and ​outer skins and​ have proven experience of extending the life-cycle of cereal rolls in operation.